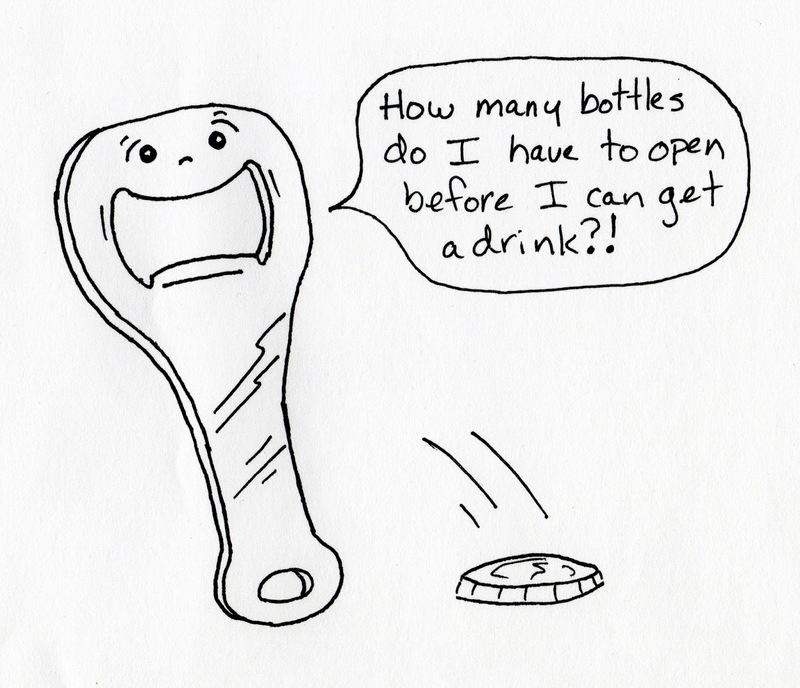 Take your ordinary bottle opener. It looks like a thin, scrawny metal man with a giant mouth, just waiting to guzzle an ocean of bubbly beer. 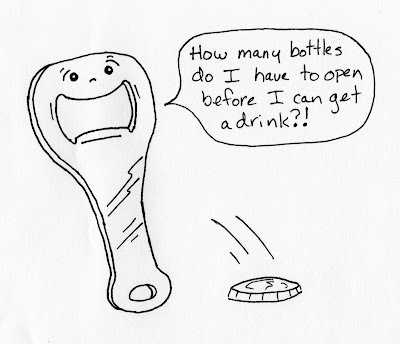 And yet, the bottle opener never gets to drink anything, but opens every single bottle. That must be what hell is like. A Short Note On North Carolina Moped Drivers. The Hardest Part Of The Human Body. Things That Should Glow In The Dark. You're Gorgeous, But Can You Translate? Hiking To Waterfalls On The Blue Ridge Parkway. My First Impression Of Asheville, NC. Using Breasts To Sell On eBay. A Brief History Of The Mercury Dime. Pop-Up Headlights: A Love Story. What's In A Name, Donkey Kong?